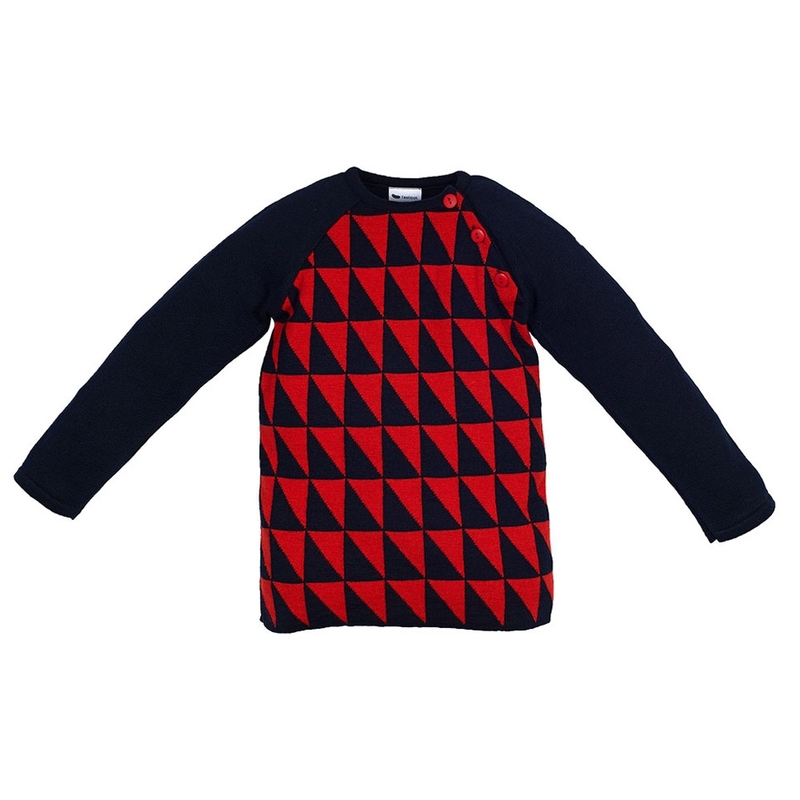 For boys and girls : wool sweater in a beautiful jacquard fabric, with wood buttons on the shoulder. Your child can wear it at any occasion, whether it is for school or under the ski suit to rush down the slopes. The sweet touch : the L'Asticot wool doesn't itch and protects your child efficiently from the cold, while allowing his delicate skin to breathe.